Coupon Mom Stephanie Nelson shares how you can save over 50% on your Thanksgiving meal by following some of her smart savings tips. Take a look at these before you head out to do your holiday food shopping. 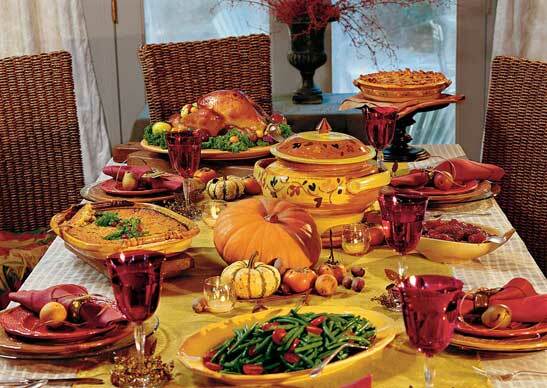 Thanksgiving dinner can be one of the best bargain meals. By shopping the sales and using coupons, you’ll save big while your family and friends rave about your delicious meal. It is less expensive to bake a pumpkin pie than an apple pie, and much easier. Buying a frozen apple pie on sale with a coupon may cost less than making it from scratch and it’s certainly easier. Canned cranberry sauce on sale with a coupon is much cheaper and easier than homemade, as compared to making your own cranberry sauce. Frozen turkey is half the cost of fresh turkey, and if you allow 3-4 days to thaw in the refrigerator no one will know the difference. Have a Plan: The key to saving on groceries is taking time to plan your list and shopping strategy. Believe me, the savings will be worth a little extra planning time. The traditional dishes are the most popular with my family and their ingredients are always the featured sale items at the stores. Sit down and list the dishes you plan to make and the ingredients you will need to buy. Inventory your kitchen to see what you already have on hand and make your list accordingly. Be thorough–you don’t want to have to dash to the store on Thanksgiving morning for a forgotten item! Shop Prices From Home: Review the weekly advertising circulars for all nearby grocery stores to see which stores have the best prices for your items. Each store will feature a few of your items as rock-bottom sale items. It may make sense to spread your shopping between two stores so that you can “cherry-pick” the best deals at each store. Or you can ask your stores if they have a price-matching policy. If one does, you can take the ads from all the stores to the price-matching store to get the lowest available price on every item from one store. Be Coupon Crazed: Thanksgiving is a grocery coupon bonanza. The coupon circulars in the newspaper have more coupons than usual in this Sunday’s issue prior to Thanksgiving. Coupons for common Thanksgiving ingredients abound, such as stuffing mix, baking ingredients, frozen vegetables, gravy, dinner rolls, turkeys and more. You can also print many good grocery coupons online from sites like CouponMom.com. If you shop at a Kroger or a Kroger-owned store, you can take advantage of electronic coupons from Shortcuts.com. In fact, you may be able to find a coupon for every Thanksgiving food item you need to buy! Save by Substituting: You can also save by avoiding expensive ingredients. For example, instead of using $4 of pecans for our sweet potato casserole topping, I use a crumble topping with oatmeal, butter and brown sugar (from an apple crisp recipe) that costs pennies to make. And I find it is less expensive to bake a pumpkin pie than an apple pie, and much easier for me. Most years I’ve been able to buy a frozen apple pie on sale with a coupon for less than it would have cost me to make, and my family prefers them to mine! Stock up on Savings: Take advantage of ultra-bargains right after Thanksgiving and stock up for future meals. If you have the freezer space, buy an extra turkey or two. One year I bought a couple dozen cans of pumpkin for 10 cents each after Thanksgiving and made pumpkin bread, muffins and even pumpkin soup all year. Stephanie Nelson, the CouponMom.com, has over 5.5 million members, and she is established as the nation’s top expert in couponing across the country.